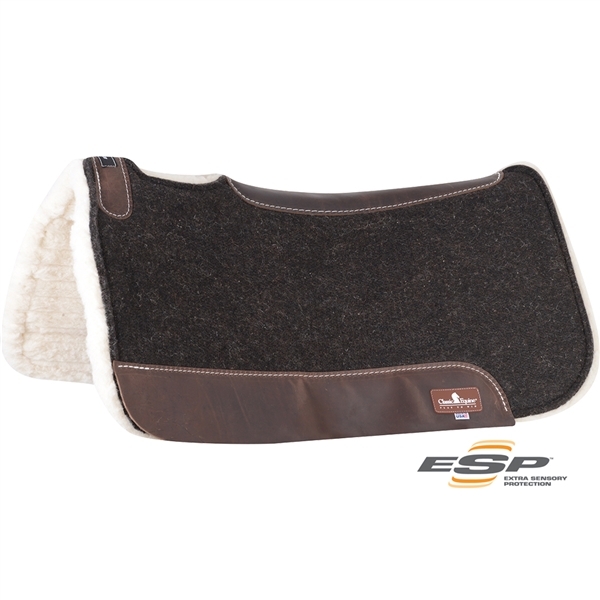 Classic Equine® ESP Felt/Fleece Saddle Pad 31" x 32"
Contoured to conform to the horse’s back with cutout over the withers for extra comfort. Durable felt top provides a classic look. Xylafoam center with a self adjusting profile that provides the highest level of protection. 100% Merino fleece bottom wicks moisture and provides maximum comfort to the horse’s back.31"x32"
Sierra Navajo Saddle Blanket 30"x60" Double Weave Navajo Saddle Blanket 32"x64" Classic Equine® ContourPedic Barrel Saddle Pad Sierra Navajo Saddle Blanket 32"x32"